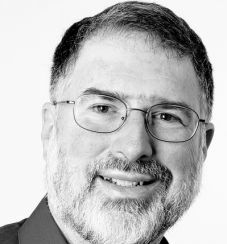 Glenn Ricart set up the first Internet Exchange point in 1988. Located in College Park, Maryland, it connected the original federal TCP/IP networks and the first U.S. commercial and non-commercial Internet networks. Later he helped extend that interconnection point to a Washington metropolitan area Ethernet called MAE-East. From 1982 to 1993, Dr. Ricart headed academic computing and networking at the University of Maryland, which in 1984 became the first university to implement TCP/IP campus wide. In the mid-1980s, he managed two notable teams: one wrote the code for the first implementation of TCP/IP for the IBM PC and the second developed the “Open Shortest Path First” reference implementation. In 1969 he began using one of the original ARPANET nodes, and in 1972, he developed the first email program for the TOPS-10 (PDP-10) operating system while at the National Institutes of Health. From 1993 to 1995, he was program manager at DARPA for operating systems, middleware, and end-system security. Presently Dr. Ricart is founder and CTO of US Ignite, a non profit organization catalyzing new applications based on next-generation Internet technology. He is the author of a well-known algorithm for mutual exclusion on a distributed system as a result of his research at the University of Maryland, where he received his doctorate in Computer Science in 1980. He has served on the boards of three public companies and numerous nonprofit organizations, including the Internet Society and the Public Interest Registry.